PAPA ROBBIE.NET: FREE SLICK RICK!!! Rapper Slick Rick has enlisted the aid of Russell Simmons' Hip-Hop Summit Action Network to help prevent him from being deported from the United States. The organization will hold a press conference Oct. 24 at 11 a.m. in front of the Federal Court Building in New York. 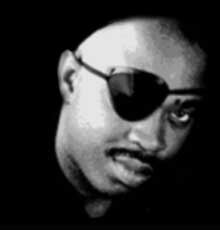 Slick Rick (born Richard Walters), 41, served five years and 12 days in prison for shooting his cousin and a bystander in a disagreement in 1990. Under U.S. law, any foreign national who serves more than five years in prison for committing a felony faces automatic deportation. In 1995, the rapper won a ruling by an immigration judge allowing him to stay in the U.S., but in June 2002 Slick Rick was re-arrested after performing on a Caribbean cruise ship. When the luxury boat returned to Miami, the Immigration and Naturalization Service cited a 1997 arrest warrant on immigration violations and charged Rick with voluntarily deporting himself and illegally reentering the country. Rick served 17 months in the INS Detention Facility in Bradenton, Fla., before being released in November 2003. The rapper's case has been assigned to Florida's 11th Circuit Court and he has been stripped of his status as a permanent resident and once again, faces deportation. "With all of the real and present threats to American society from terrorism, why is the government chasing this rapper?" asked HSAN Co-Chairman Dr. Benjamin Chavis. "It's an obscene misuse of scarce resources." Since the terror attacks of Sept. 11, 2001, the U.S. has hardened its policy toward illegal aliens residing in the country. According to Jean Butterfield, executive director of the American Immigration Lawyers Association, the U.S. is deporting almost 200,000 aliens per year. "They're breadwinners whose families are U.S. citizens--and in most cases there's nothing a judge can do to help them," Butterfield said. "The mentality now is enforcement only. Discretion has been taken away from the judges and put in the hands of the executive branch. It's a damaging policy, which has not made the country safer. On the contrary, it inflicts untold hardships on our economy, our families, and our social fabric." According to Chavis and Slick Rick's supporters, the rapper is a model citizen who completed his parole, has not been convicted of any crimes since his original conviction and is a hardworking family-oriented man. Says Chavis, "The government is conducting a vendetta against Rick and we're not going to stand for it."